It’s been a slow enough start to the salmon season for me. While the spring run is only really getting going now, I had hoped a few early trips would have yielded me my first fish of the season. But still I wait! 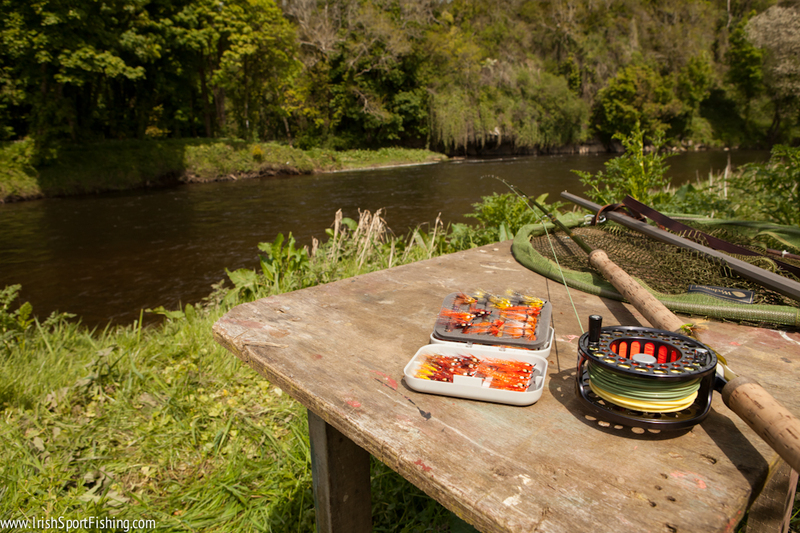 I’ve been unfortunate in that there has been little rain to coincide with my trips so far, leaving the rivers quite low and without any numbers of running fish. 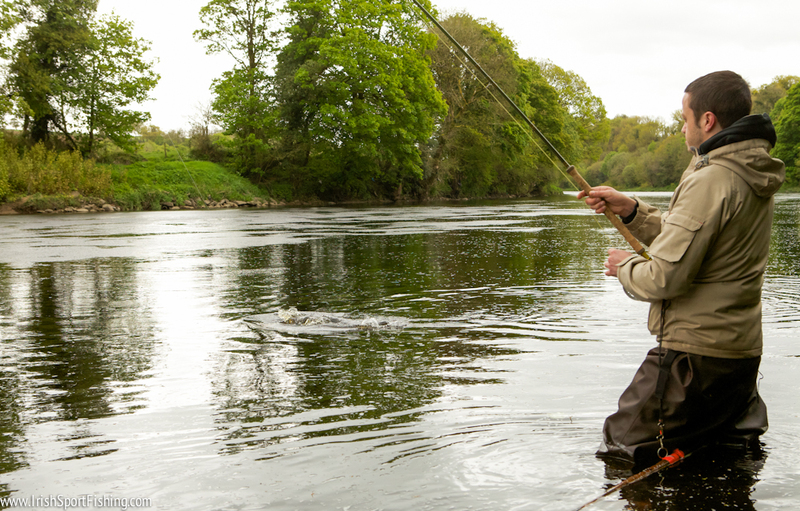 Visits to the Moy and Laune drew a blank (I didn’t even see a fish). This week last year there was a good run of springers on the Mourne. I landed one of 9lbs and lost another at the net that was into double figures. Myself and John had hoped that history would repeat itself, and with the rain during the week we decided to head north. The water was still a bit murky the first day and it was windy as hell the second, but after flogging the beat up and down John finally got a take. I had actually just turned on the camera and said to John to give me three casts. I told him not to wait for the fly to come around and instead just retrieve straight away and cast again. On cast number two the fish took! 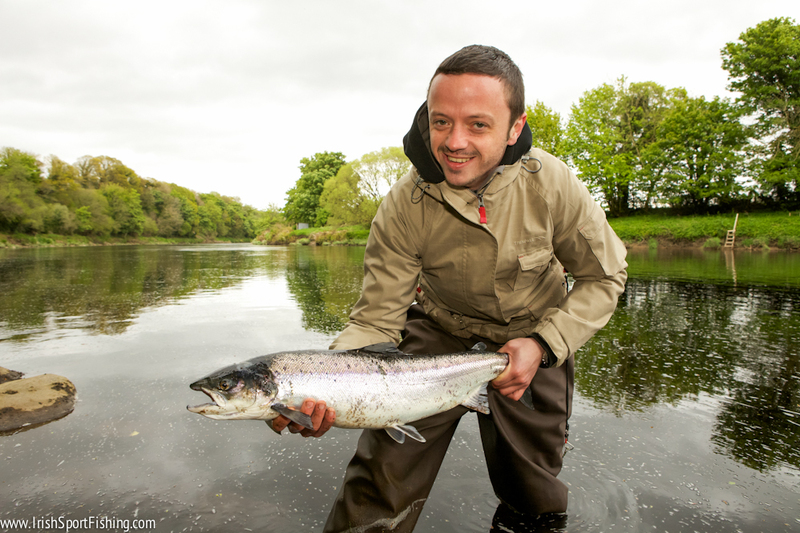 A few minutes later I tailed a lovely fresh fish of 7.5lbs. 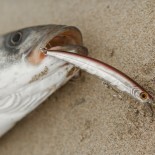 Early season salmon fishing is a great time of year for fisherman. 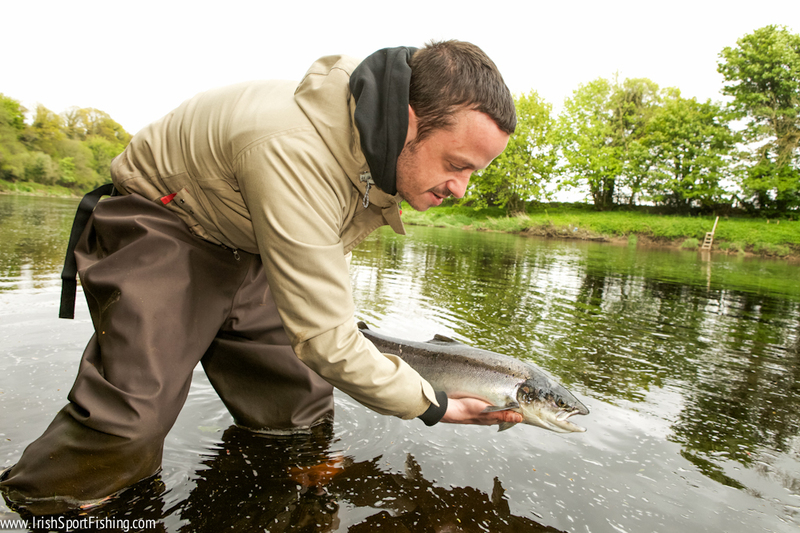 After spending months itching to get back out, the first trip game fishing is often one of the most fondest! The novelty of fishing never does die down! Very true… i can’t wait for this season! 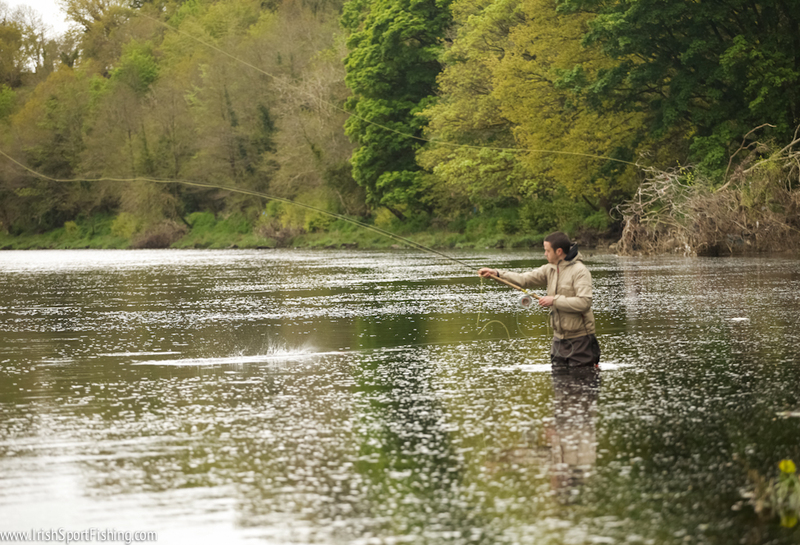 This entry was posted on May 23, 2012 by steve and tagged Fishing in Ireland, Fly Fishing Ireland, Irish Sport Fishing, IrishSportFishing, River Blackwater Fishing, River Mourne Fishing, Salmon Fishing, Salmon Fishing Ireland, Spring Salmon.